One of the hardest, yet most important discussions I have with my couples regarding wedding planning is “What is your wedding budget?” This is the starting point to where we begin finding you what you need for your wedding day. It tells me what venues to consider and what price point I need for the other vendors. All florists, lighting, video, transportation, caterers, and venues are not created equally. The same is true for Austin wedding planners. We are all different price points and all offer different services as well as experience. I have brides contact me daily and when I send them my pricing, I often hear “Oh, you are too expensive” and that is okay. I am not the right planner for all couples. Yes, you can find planners less expensive and far more expensive than Barbara’s Brides. I spoke with a newly engaged couple today with a budget of about $28,000 for 250 people. Even though I would love to work with them and we’ve started a good communication through e-mail, I know what all the other details add up to within the Austin wedding market. A fellow vendor recently said “They have a dollar store budget with a David Tutera vision” and that is happening more and more. I understand how beautiful the weddings are on The Knot, Style Me Pretty, Pinterest and TV, but that does not mean every couple can have those weddings with a small budget. I try very hard to make sure couples that contact me realize what it means to want something and need something for their weddings. Not everyone can have specialty lighting, a limousine, peonies and the list goes on. I love working with couples and seeing them happy on their wedding days. So yes, I have worked with lower budgets because we were all on the same page from the very beginning regarding what they could afford and what we could deliver for that price point. 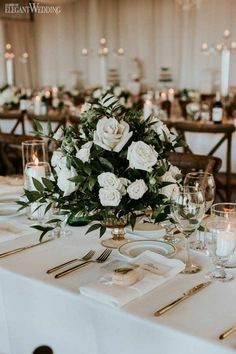 We created a fantastic wedding in the $25,000 range on a Sunday afternoon between 1:00pm-5:00pm with 50 guests and an overall casual atmosphere with all the details. Having a planner allowed them to know where to cut and what they still needed to create a wonderful day. I had a discussion with an Austin wedding venue recently and she said that couples are just shocked when she tells them their budget should be at least $40,000 before they consider having their wedding at her venue. Why? Because as an Austin wedding vendor we hear all the stories and concerns from couples when they can’t find a band for $3,000 or a florist for $2,500 and they did not hire a planner who laid out the expected costs for them. A little tough love here, but just because you expect your DJ to be $500 doesn’t mean they will be. The same is true for the brides cutting out hors d’oeuvres from her menu because they are too tight on the budget and she doesn’t think anyone will miss them. There are other areas to cut that the guests won’t notice, but hors d’oeuvres will be missed. Another couple asked me if all my weddings are over $150,000 and I said no, not at all. I just try very hard to make all our weddings reflect what that the couple wanted within their budget which may have been between $50,000-$100,000 which varies each time. If you don’t know where to start or what your vision will cost, give us a call and let’s see if we can help you create your wedding day even after the scary budget discussion. Here is the latest CNN post on wedding costs from The Knot. Very interesting info.